Are you turning 30 and over the hill? Rather than run away from the fact, throw yourself an unforgettable celebrity birthday bash. 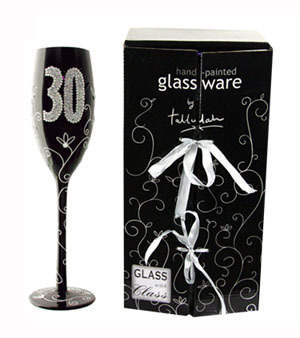 You shouldn’t run out of 30th birthday party supplies and themes to choose from. You should host a birthday party that’s all you, though. Even if you’re not a certified celebrity, you can still live their lives of exclusivity, at least for the day. Like all celebrity birthdays, you have the privilege to handpick your guest list. Besides, you can always host a snobbish birthday bash on the after-party, when everyone’s had their fill and handed out their gifts. Since you’ll likely restrict your group to close friends and relatives, you can pass it off as an intimate dinner for friends and family. 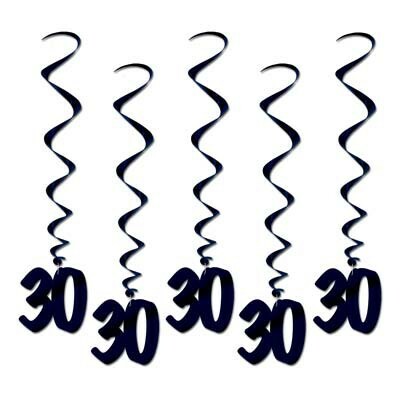 Just don’t forget to liven up the venue with 30th birthday swirl decorations for a familiar feel. You can’t go back to cake and ice cream for a celebrity party, so you should consider arranging something saucy in another location. Rent out a flat or move the party to friend’s house, just make sure everything is set up by the time you get there. You shouldn’t settle for canned music if you want to live it out loud. Opt for live acts and bands; have a private concert for a small audience. Live music slightly deviates from standard 30th birthday party themes, but you have to admit that iPod tracks get too tiring after several loops. Make sure the act ties in all your preferred genres, though. You can also hire companies to bring entertainment to your doorstep. Whether you’re up for a paintball match on your backyard, a shot glass roulette wheel drinking game, or a private screening of Planet of the Apes, there’s to be someone who’ll deliver your wishes (for a price). Opt for multiple LED-LCD screens and play Halo on the Xbox, rent a 4-dimensional simulator, or hire a gourmet chef to prepare meals while eat; the sky’s the limit if you have the money to shell out for it. Cap off the evening with a night out at the party circuit. The city looks different through the tinted glass of a stretch limo, so hire one, and tour the hotspots. 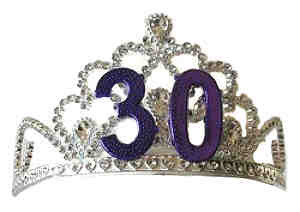 Wear a 30th birthday tiara for that added celebrity feel. You can rent out a private room at a club or confirm your reservation at a fancy restaurant. You have to go all out if you’re going to splurge. You can stay out until the wee hours of the morning with your entourage. Consider 30th birthday party themes for the pre-party, but splurge like a celebrity afterwards. Cap the night off (and start the day right) by observing the sunrise over the beach. 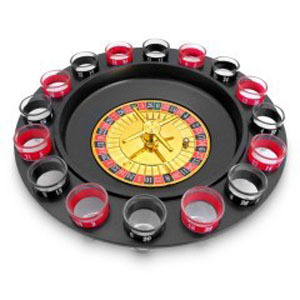 This entry was posted in 30th Birthday Party, Birthday Party Theme, Party Supplies, Party Tips and tagged 30th birthday decorations, 30th birthday supplies, 30th birthday swirl decorations, 30th birthday tiara, shot glass roulette wheel drinking game on March 15, 2015 by Vanessa Osborne.